Eucalyptus oil is generally greenish with a strong aroma and is packaged in plastic bottles. This material has many latin names, among others Cajeput Oil, Kajuputi leucadendra, Aceite de Cajeput, Cajeputi Aetheroleum, and much more. Eucalyptus oil is produced from the steam distillation of fresh twigs and leaves of eucalyptus tree (Melaleuca leucadendra). To get esensnya, eucalyptus leaves are picked when the weather is hot will be soaked in water, then distilled. The next process is fermented overnight. Fluid resulting from this distillation in the form of scented oil is very sharp, resembles a blend of camphor and turpentine aroma. Eucalyptus trees are generally grown in Southeast Asia and some parts of Australia. Cajuput name itself comes from the name of Indonesia "white wood" which is the number one producer of this material. Most of the eucalyptus trees grown in Sulawesi, Indonesia. Eucalyptus oil contains chemicals called cineol (cineole), which can provide a warm sensation when applied to the skin. This can give a sense of warmth and comfort can act as a pain reliever. Sineol also likely to provide a strong aroma of white wood. This material is also found in some other products, such as oil telon commonly used in infants and balsam for massage or relieve pain. This material is not effective when used to treat headaches , fever , or toothache . Some people inhale the scent of eucalyptus oil as nasal congestion reliever or as aromatherapy. However, this action can cause respiratory problems in some other small. Eucalyptus oil is generally safe for use by most people at levels that are not excessive. However, this material is not to be smeared on the skin that has open sores. In a small percentage of people, eucalyptus oil can cause allergies. Eucalyptus oil should not be used by pregnant and lactating women because its effects are still not investigated further. This material is too hard for the baby's skin, but it is quite safe to use by kids for not inhaled or applied to the face. 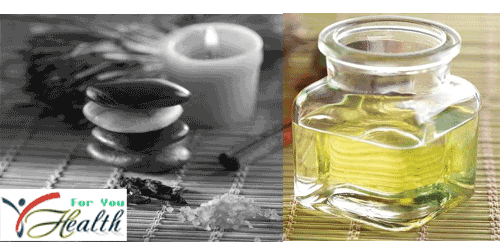 Inhalation of eucalyptus oil can bring risk of respiratory distress and even asthma attacks. How many eucalyptus oil should be used in disposable? Although derived from natural ingredients, but not necessarily safe to use eucalyptus oil in a dose of whatever. Doses of eucalyptus oil is dependent upon the age, health, and the needs of the wearer. Currently there has been no scientific information to determine the appropriate dosage use. Generally, the use of a complete dose was not found in the packaging of eucalyptus oil. In this case, the user policy becomes indispensable. Immediately discontinue use and consult if you have allergies due to the use of this material. If used appropriately, eucalyptus oil can be heated friends and deduction discomfort when the body feels unwell.